Empire premium WordPress theme is a multi-functional business template with clean typography, coloring, and subtle box shadow styling. Premium theme has a customizable slider, uniquely styled widget regions, a portfolio section for products or galleries, and a team page template. With all those wonderful goodies, there’s no reason for you to pass this one up! Check out Empire theme at the end of the post. 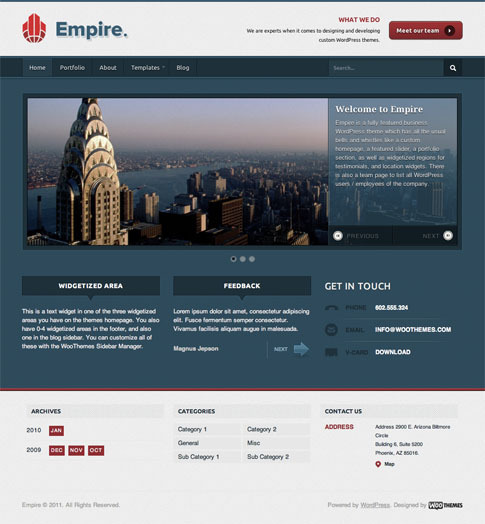 Come back and check out the showcase as we find more sites from around the web using Empire.